The Battle of the Marne (French: 1re Bataille de la Marne) (also known as the Miracle of the Marne) was a First World War battle fought between the 5th and 12th of September 1914. 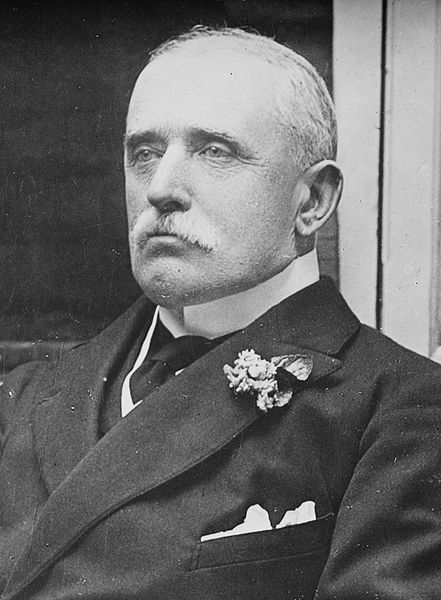 It resulted in a Franco-British victory against the German Army under Chief of Staff Helmuth von Moltke the Younger. The battle effectively ended the month-long German offensive that opened the war and had reached the outskirts of Paris. The counter-attack of Allied forces during the First Battle of the Marne ensured that a quick German victory was impossible, and set the stage for four years of trench warfare on the Western Front. The safety of France, and through her, of all civilization, was assured in that fateful hour when von Kluck's army, after turning its back on Paris and then thrusting von Buelow's vanguard jealously aside, plunged eastward toward the Marne, "like a boar with lowered head", in blind pursuit of D'Esperey's battered French army, already below the Marne, which von Kluck mistakenly supposed to be wholly isolated and consequently ripe for destruction. 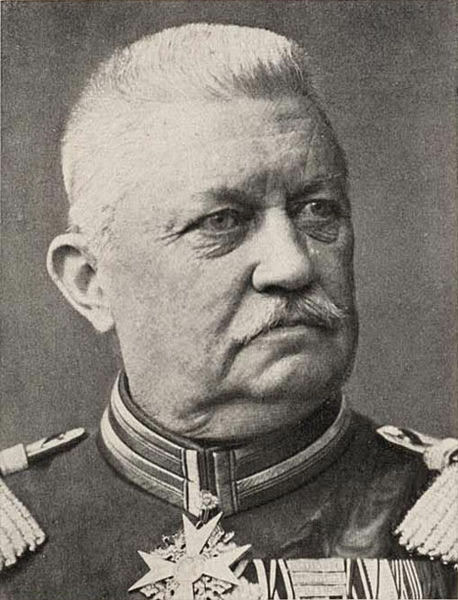 Von Kluck's jealousy of von Buelow had led him into the double indiscretion of usurping the latter's appointed task, and, in disobedience of explicit orders, taking four corps of his army south of the Marne, instead of remaining behind, facing Paris, with his entire army, to guard the west flank of the whole German line. Von Kluck's amazing indiscretion proved fatal to the German plan of campaign and to his disobedience of orders is attributed the subsequent defeat of the Kaiser's legions. All unwittingly, and at the precise moment when he made his detour east of Paris, von Kluck had fallen headlong into a trap prepared for him by the sagacious General Joffre. His frantic efforts to escape from the trap, whilst the French and British armies were endeavoring to close it, precipitated that sequence of decisive battles, involving all the belligerent armies on a front of 150 miles, and known under the generic name of the First Battle of the Marne—a battle in which the very life of France was at stake and which resulted in the humiliating defeat and compulsory retreat of the entire German host. The trap, which so nearly engulfed these modern Huns, on the same battlefield where their ancestors, under Attila, were vanquished 1500 years before, had been prepared by General Joffre during the anxious twelve days' retreat, of the French and British armies southward from the Belgian border. Whilst the German armies were following in breakneck pursuit of the Allies, Joffre had evolved the strategy which was destined to halt the pursuit, confound the enemy and end forever the pretension of the German warlords to world dominion. At any time during that memorable retreat, had he so desired, Joffre might have made a successful stand against the foe. His eager troops, chafing under the ignominy of an enforced retreat, repeatedly implored their commander to strike back at the enemy. Joffre, however, had a larger plan in view. His purpose was to lure the Germans on until he had reached a secure position from which he might launch a decisive blow. So, in his backward swing of 150 miles, "Papa" Joffre was content to bide his time, keeping the Allied line always intact whilst thwarting the constant German efforts to outflank him. and compelling the German pursuit to take the precise direction he had indicated. Knowing that the Germans would defer their intended siege of Paris until all the French armies in the field had been disposed of, the initiative remained with him, even in retreat. 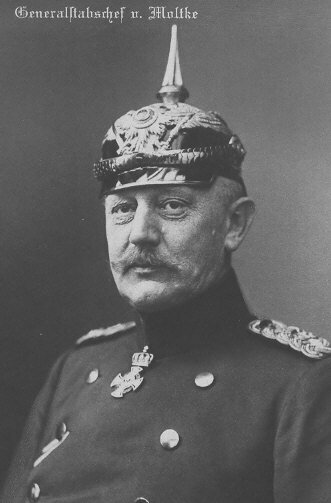 Not von Moltke, but Joffre, was controlling the general movement of the German armies. 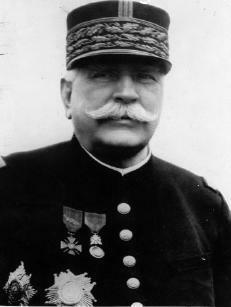 Unsuspected by the Germans, General Joffre had secretly organized two new armies as the chief instrumente of his triumphant strategy. One of these armies, the Sixth, under command of General Maunoury, and composed of units drawn from other French armies on the Eastern frontier, lay in ambush north of Paris, in readiness to spring out instantly and attack von Kluck's flank if he passed to the east of the capital. The second new army, the Ninth, under command of General Ferdinand Foch, "the hero of Mor- hange", was forming below the marshes of Saint Gond, near Fere Champenoise, awaiting the word to take its place on the battle line. 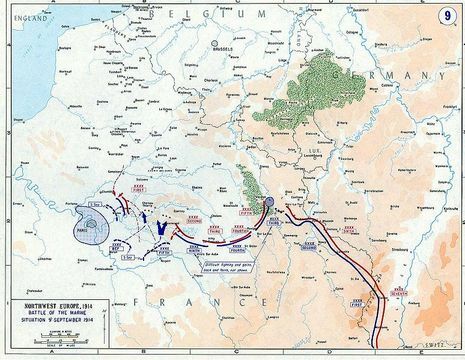 On September 3, 1914, when von Kluck's army swerved eastward from Paris, all the Allied armies of the left and center were ensconced below the Marne. The British Expeditionary Force, after eluding the German pursuers, and blowing up the bridges on the Marne west of Meaux, had withdrawn beyond the Grand Morin River, secreting themselves behind the Forest of Crecy. A third British corps had secretly arrived in France, increasing the army strength to 120,000 rifles and 10,000 cavalry. The Germans seem to have been unaware of the recuperation of the British forces, deeming them wholly dispersed or destroyed. D'Esperey's Fifth French army occupied an advanced position to the right of the British on a line extending from Courtacon to Epernay. Foch's Ninth Army, to the East, was concealed between the waters of the Grand Morin and Compte de Mailly. Further East lay the Fourth Army, commanded by General Langle de Carey. 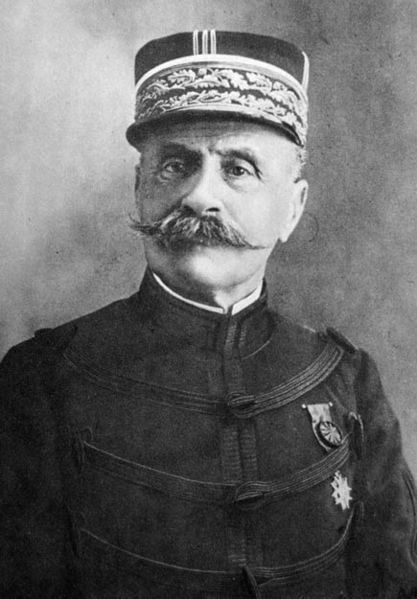 General Sari-ail's Third Army rested on the Meuse River, from Bar-le-Duc to Verdun. General de Castelnau's Second Army lay athwart the Gap of Nancy in Lorraine. The original plan of the German high command, to envelop the left flank of the Allied line, having miscarried, when the British Expeditionary Force had eluded von Kluck, and D'Esperey's French army had escaped from the clutches of von Buelow, a new plan of battle, covering the operations of all the German armies, was devised on September 2, 1914. This plan was based upon German misconception of the actual strength of the Allied armies. 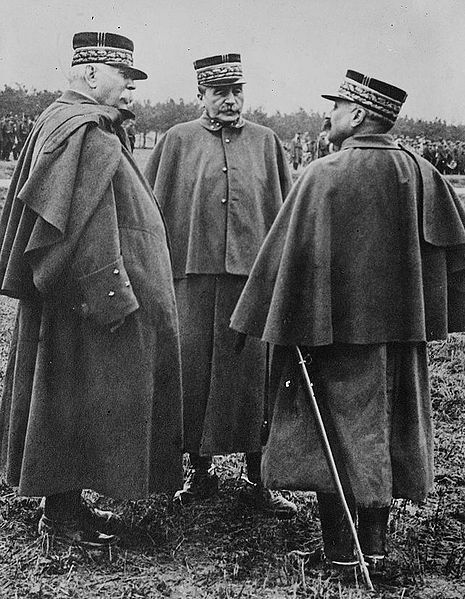 The existence of Foch's new army in the center of the Allied line and of Maunoury's new army north of Paris was wholly ursuspected by the German high command. German aviators had jubilantly reported a great gap, some forty miles wide, in the center of the Allied line, where General Foch's new army lay all the time snugly concealed below the marshes of Saint Gond. Similarly, the German aviators discovered a wide gap to the East of Paris where the British army had made its deep withdrawal below the Grand Morin. To the Germans the only visible French force on the west wing was the battered army of D'Esperey, lying with both its flanks exposed below the Marne. On the Eastern wing of the long battle line, the situation was equally favorable to the German design. The Gap of Mirecourt, near Nancy, was defended by a French force not exceeding 100,000 rifles, while Verdun was defended by a French army of less than 160,000 men. The only other French force visible to the Germans on this wing was the small army of Langle de Carey, in position just East of the gap in the center of the Allied line. With seven great German armies in the field, outnumbering the French in the ratio of 7 to 4, it seemed an easy matter to overwhelm and destroy these isolated Allied armies. 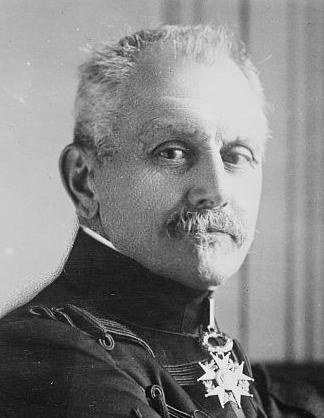 The German Crown Prince, with 500,000 picked troops, would quickly dispose of General Sarrail's small force at Verdun. At the same time Crown Prince Rupprecht with 350,000 Bavarians would overpower the 100,000 French defending the Gap of Mirecourt. 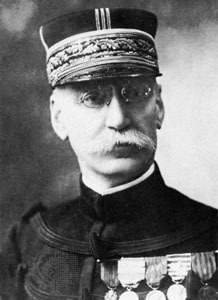 To the army of General Hausen was assigned the task of annihilating General Langle de Carey's apparently isolated French Army. On the western wing, there was only D'Esperey's battered French Army to consider. 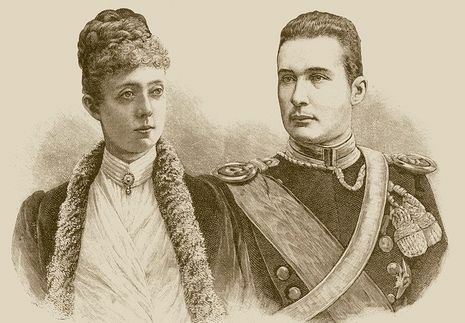 Von Buelow would have the honor of despatching that isolated army. 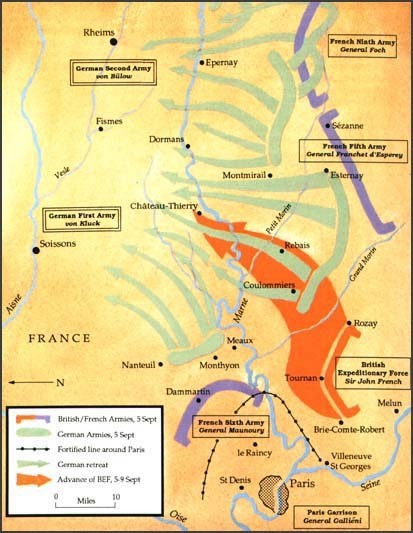 Finally von Kluck would guard the German flank, his army being ordered to face Paris, north of the Marne, prepared to cope with any garrison force that might emerge therefrom, and with any remnant of the dispersed British army that might reappear. Such was the general situation on that memorable 3rd of September when the German west wing armies made their detour East of Paris. 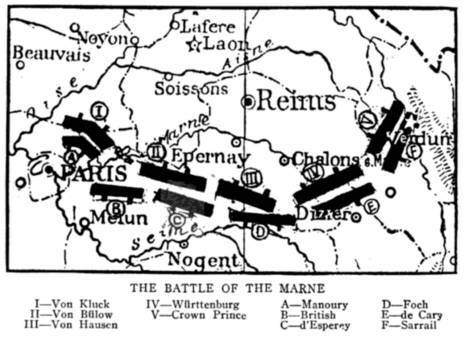 All these German plans were destined to miscarry, partly because of the heroic defense of the eastern line by the armies of Castelnau and Sarrail; largely because of the surprise attacks by General Joffre's unsuspected new armies, but most of all because of the confusion into which the German west wing had fallen as a result of von Kluck's disobedience. 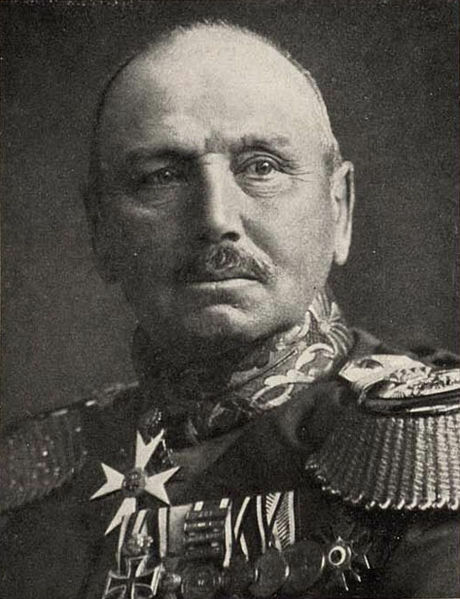 Von Kluck, when assigned to the task of guarding the west flank of the German line, had received explicit orders to hold his army between the Oise and the Marne, facing Paris, and to remain a day's march behind von Buelow's army, whose task it was to cover Paris from the Marne southward to the Seine, and at the same time outflank D'Esperey's apparently isolated French army. No account seems to have been taken of the "contemptible British army," but the Germans were very soon to learn of its existence and its powers. Von Kluck, unwilling that the glory of outflanking D'Esperey's army should fall to von Buelow, resolved to earn that fame himself. Leaving a single corps on the west bank of Ourcq as a rear guard, he took his remaining four corps below the Marne, marching directly in front of von Buelow's right wing and throwing that army into immediate disorder. It was at this juncture that General Joffre decided to spring his trap. 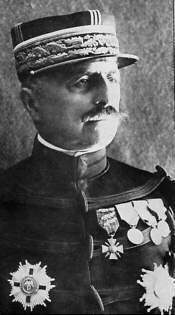 After a momentous interview on September 4, 1914, with General Gallieni, the commander of the Paris garrison, he issued his historic order for the flank attack from Paris on September 5th. Only a single corps of Maunoury's new army was then available for the surprise attack. These troops, marching out from their place of concealment above Paris, engaged the flank corps which von Kluck had posted on the west bank of the Ourcq, expelling them from the heights which they occupied and liberating scores of villages. Von Kluck, now engaged with D'Esperey far below the Marne, was quick to realize the plight into which he had fallen, and to take the necessary steps to retrieve his blunder. Withdrawing his four corps from the battle line, he sent them north to engage Maunoury and, being still further reinforced from the Maubeuge fortress, he succeeded in bending Maunoury's line back upon Paris. His withdrawal from below 'the Marne, however, had left a gap of thirty miles in the German front with von Buelow's flank exposed. Into this gap the French and British troops poured, compelling the immediate retirement of von Buelow's right wing. As a result of this retirement, von Kluck found it necessary in turn to break off his battle with Maunoury and retreat northward as far as Soisso'ns. Meantime, in the center of the long battle line, General Foch's Ninth Army was sustaining the combined attack of von Buelow's left wing and von Hausen's entire army. At the critical moment, when Foch's right wing was bent double and his army seemed doomed, he risked all on a single bold stroke. Noticing a slight gap at the point of junction of the two attacking armies, he detached a corps from the end of his line and using it as a battering ram, broke through the enemy line, compelling a general retreat of all the German forces to the Aisne. Foch's victory came just in time to save the situation on the eastern frontier, for the small garrison at Fort Troyon was on the point of yielding to an overwhelming German force.